Soda is still a popular drink with Americans. As many as half the population has one soda every day. And while the bad news about soda continues to trickle in, many are unwilling to give up their favorite fizzy drink. So how bad is soda, really? Pretty bad if you listen to the results of recent studies that say drinking soda on a regular basis could up your risk for diabetes, heart disease, low-density lipoprotein (LDL) cholesterol, obesity and let’s not forget cavities. Calories are the main issue surrounding soda consumption. Unlike calories consumed through food, those in liquid form don’t trigger that feeling of being full nearly as quickly. This results in a person being able to drink three or four sodas without having any sensation of consuming a high amount of calories. The average can of pop contains about 160 calories. This accounts for the unexplained weight gain people complain about when they say they hardly had anything to eat for lunch—except for the two cans of soda they drank between lunch and dinner. The sugar in soda is problematic too. Sodas tend to be sweetened with fructose, sucrose, and high fructose corn syrup—all of which tend to cause spikes in blood sugar. Eventually, insulin resistance kicks in and your risk for diabetes shoots up. Despite all these warnings, the message that regular consumption of pop could lead to serious health complications just doesn’t seem to be sinking in. Here’s a revealing story, however, which shows, in dramatic fashion, the very real health dangers of being a pop-o-holic. The story revolves around a 31-year old woman who visited the hospital complaining of fainting spells. After taking a blood test, the results showed that her potassium levels had virtually bottomed-out: she was well below the minimum requirements for the mineral. It turns out that inadequate potassium can cause problems in the rhythm of the heartbeat. It’s potassium that helps regulate the steadiness of the heartbeat. In trying to track down the source of this serious deficiency, the research team discovered that the woman drank nothing but pop to quench her thirst. In fact, she drank about two quarts of cola a day. 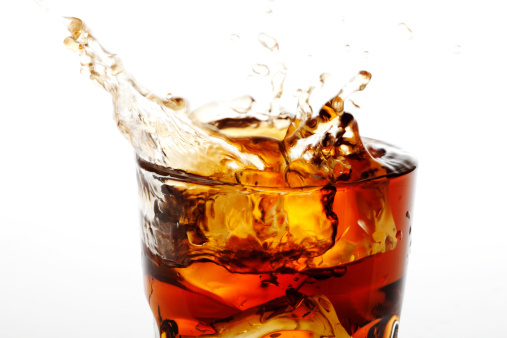 Within one week of dropping the cola from her diet, the woman’s health problems disappeared. Her heartbeat returned to normal and the fainting spells stopped. While this is a dramatic case, it bears consideration. Soda does not appear to impart any health benefits whatsoever and it could cause dangerously low potassium levels. Low potassium levels (called hypokalemia) can be triggered by causes other than drinking too much soda. Kidney problems, diabetic complications, and excessive sweating can all cause the mineral to drop dangerously low. Taking large doses of laxatives and using prescription diuretics can also cause excessive potassium loss. And finally, diarrhea and vomiting—the two symptoms that often accompany bouts of flu—can cause your body to lose too much of the mineral. If you’re overdosing on soda every day, this is just one more reason to stop. Rettner, R., “Woman Drinks Only Soda for 16 Years,” DNews web site, June 25, 2013; www.news.discovery.com, last accessed June 26, 2013. Zarqane, N., et al., “Syncope and hypokalemia with mild long term mild cola consumption,” The European Society of Cardiology web site, June 25, 2013; www.escardio.org, last accessed June 26, 2013. “Potassium in Diet,” MedlinePlus web site; www.nlm.nih.gov, last accessed June 26, 2013.